Looking back at the past 12 months in the Western Australia beer scene, 2016 was a year that saw the growth of double IPAs and the rise of the XPA and niche sours. Interestingly, amid a whirlwind of perceived beer fads, the year also saw one of the state’s most iconic, hop focused craft breweries release a lager, Feral's Perth Local, for the local market – in bottles and cans, just to be sure. That’s the contemporary tale of the state that remains the spiritual home for Australian craft beer. 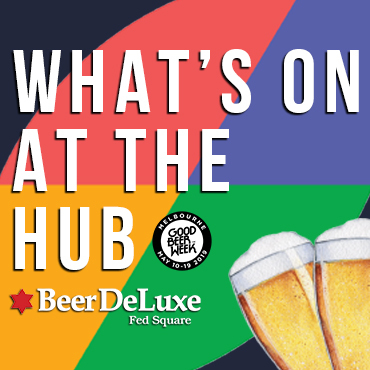 However, it’s taken more than three decades to see the types of craft beer venues we’re finally starting to see in greater numbers today – and a minor explosion in the number of craft beer faithful supporting the industry. Put simply, the list below would not have been possible as recently as two years ago. 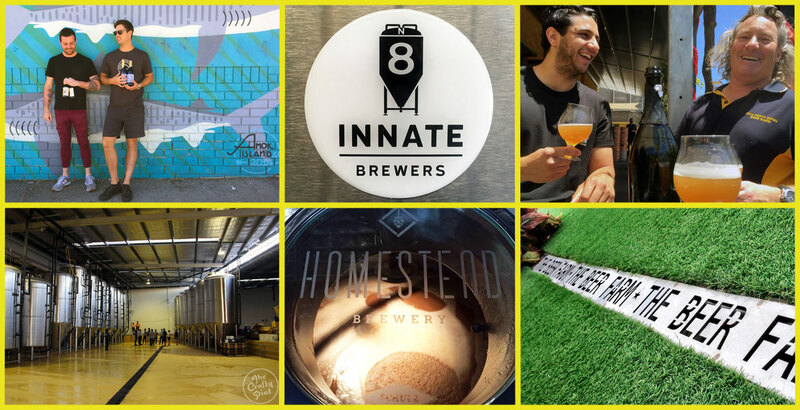 As such, there's never been a better time for Western Australians to get out of the house and see what’s new on tap as collaborations and limited releases are regularly delivering excellence – and often in small volumes. Before diving in, it’s important to remember that this list represents only what our panel believes to be the best new beers from WA in 2016. Previously released draught only products that have been packaged this year, like Feral's War Hog, did not meet the criteria but new recipes for or new vintages of past releases, like the bi-annual Tusk from the same brewery, did. Full disclosure: If a panel member was involved with a brewery or a beer they withdrew from discussion of those beers. Brian Fitzgerald, centre, hosting an Artisan Brewing tasting during WA Beer Week 2016. Moments of calm and clarity can often arise from inner turmoil. And, here, two years of inner turmoil over a bad batch of saison was brought to calm and clarity by a last minute decision to add wild yeast Brettanomyces to a beer that seemed destined to be a drain pour. These moments of Monastic revelation seem to be a regular occurrence for the abbot of Artisan Brewing, Brian Fitzgerald. The name refers to the Zenne River, or Senne in French, which was once considered to be one of Belgium’s most polluted waterways, and is also famous as the river that flows through the region that gives the world its lambic beers. Given this connection, it’s no wonder that Zenne14 made its debut as a sour beer. The draught only Zenne14 showed a balance of refreshing acetic sharpness with enough funk to provide complex stone fruit and pineapple embellishments that floated through an elegantly carbonated beer. 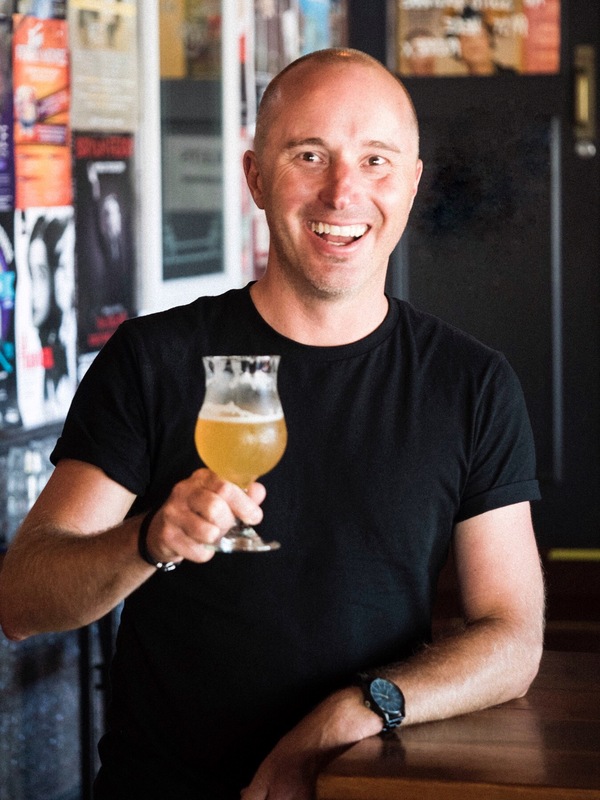 Working from a base in Denmark, in the Great Southern region of Western Australia, nearly 15,000km away from Artisan Brewing’s spiritual home, Belgium, Brian and wife Julie have brought brewing enlightenment to a rotating range of Belgian inspired ales. Looking ahead to 2017, there are plans to create a sour barrel room in collaboration with Boston Brewing that will see more of Brian’s beers available to Western Australians. The designated driver was becoming concerned by the long drive into scrub. She was also sceptical others would make a similar trip to Feral’s secluded Swan Valley HQ at 11am on a Friday to try to capture what her car companions had labelled a brute. It had to be that time, though, because this wild beast only shows itself on two days of the year. And, with just a handful of kegs of the double India pale ale available, opportunities to bag the big boy were limited. At 12.1 percent, this was a beast from a herd that doesn’t shy from taking on patrons with high ABV challenges. Those wanting to trap the silky smooth, piney and dangerously easy to drink beer had to be prepared for a fight. Many were brave, with the first keg disappearing in 54 minutes. This mammoth, similar to its North West US IPA cousins, had to be tasted as soon as possible after brewing to appreciate its true power. Yet Tusk, at 98 IBU, was always going to be the victor. It hides its alcohol so well it can land some early counter blows. None can claim to be its master and it has quickly returned to the Baskerville bush ready to reemerge next year, perhaps stronger again. Crafty Cabal Member offer at Feral Brewing (CCA): Free Growler Filled With Feral! Gage Roads head brewer Aaron Heary, who pooled his brewing team's ideas to create 2016's AIBA Champion Beer. On November 18,1605, the Duftkyn captained by Willem Janzoon quietly set out on a voyage of courage and discovery helmed by men with nothing to lose but a belief in themselves. Three months later, they became the first Europeans to make landfall in Australia. Four hundred years later, a beer namesake, Little Dove, quietly set out charting uncertain waters to claim Champion Australian Beer of 2016 at the Australian International Beer Awards. Three months after this win, Gage Roads released a packaged version. The wash up after the Thursday night award ceremony had many asking: “Little who?” and: “From Gage Roads?!”. Even the team behind the beer was caught off guard as the beer had only just been brewed. Kegs were rushed to Perth venues the next day and eventually the Little Dove took flight around Australia. In the months that followed, the story of the brewer’s passion project to “brew a beer that they wanted to drink" emerged and became evidence of Gage Roads’ tipping point into a new voyage towards, ultimately, independence. In June, the brewery announced it would be separating from its partnership with Woolworths and returning towards its crafty roots. As for the draught release of Little Dove, it was unanimously lauded by the discussion panel for its full body and tropical fruit characters, most notably passionfruit delivered by New World hops. There could have been an advisory label on all glasses of this collaboration served around the state recently. After all, this was something patrons wouldn’t have tried before. 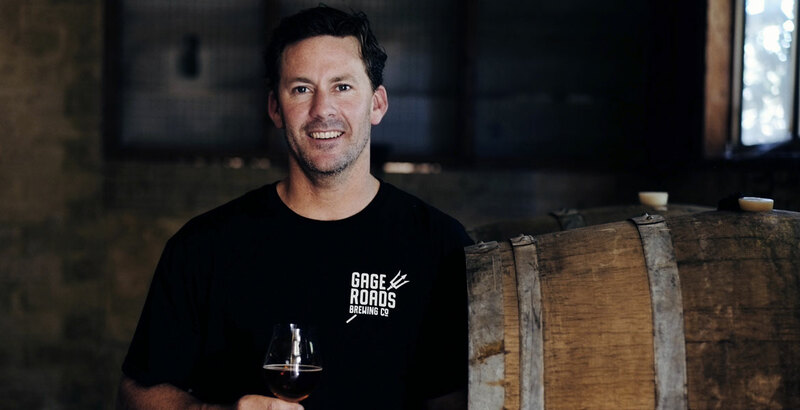 For Dutch Trading Co bar supremo Joel Beresford wanted something different out of his partnership with the Swan Valley’s Homestead Brewery. The line: “This is not your daddy’s shotgun” from the movie Full Metal Jacket had popped into his head, giving him the name for the beer. Then came the brew. Galaxy and Amarillo enabled the beer to reach the right hop level and gave the wheat beer style a touch of New World nuance. There's a bucket or two of pilsner malt in the recipe as well. And Joel believes it could almost be a White IPA for those that like to stretch varieties. A grapefruit and peach aroma show off Not Your Daddy’s as a different kind of wheat beer but it’s a boundary shift in which the drinker wins. 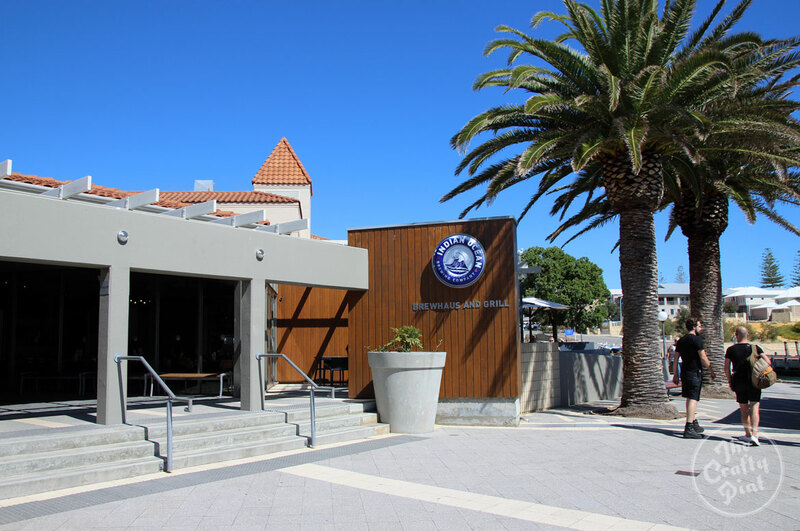 Securing a place on this list doesn’t just reflect the beer itself but the recent changes made at Perth’s only Northern Suburbs brewpub. A young yet experienced Jackson Purser and science-minded Brody Watts have taken Indian Ocean Brewing on a new tack in 2016. They have been willing to experiment too, as emphasised by the artistic approach to their decals, which are devised when they’re not heating up the kettle. The XPA label gives another hint about the Indian Ocean thinking. Instead of turning their Pale Ale into a sweetened yet stronger version as the market dictates, Jackson and Brody threw in some wheat and oats to come up with a beer that isn’t an India Pale Ale or its lighter cousin. At 50 IBU, the bitterness was in check but the 6.4 percent ABV XPA had an endearingly dry finish too. The finale and the super hoppy aroma brought a drinker back for more. It's appropriate that a policeman appears on the label of this beer as brewer Joel Nash should be arrested for crimes against space. With so little room in which to work, he manages to produce beverages well above its weight (and height and depth). The Innate workshop fits the no swinging cat theory, yet it's a bit like the Tardis: while it looks small on the outside, big things happen once you step through the doors. 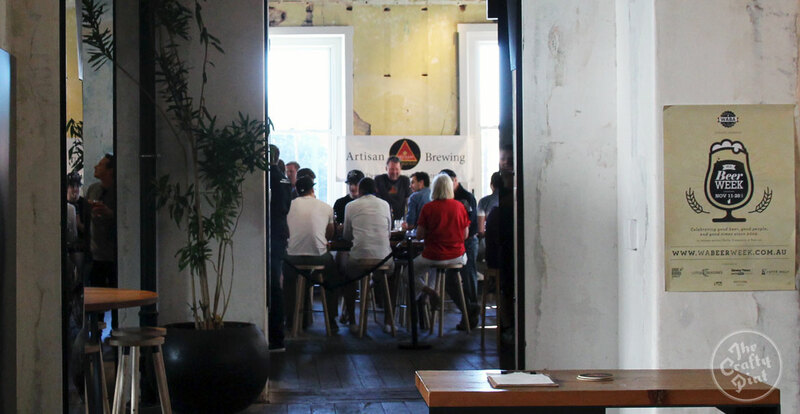 The brewery has also quickly gained a foothold in the Fremantle area, which influences its beer ideology. And Drinkstable fits in so well with that ethos. The 6.2 percent ABV IPA should be on the menu for those summer days spent staring out onto the port, harbour, bays and beaches that swell with people throughout the season. Late hopping with Ella and Cascade give an Australian feel to a style stretched by US and UK varieties. One thing for certain is Drinkstable’s appealing bitter finish: it caps the resin and citrus that combine so well on first taste in a beer with no flat spots. Bottles of the five-way collaboration Forest For The Trees at Mane Liquor. It’s a wonder that serial collaborators Mane Liquor had space for everyone on the Forest For The Trees label. The five-way collaboration brought the best of each party to an 8 percent ABV imperial coffee porter aged in a Whipper Snapper Upshot Australian Bourbon style barrel. The Mane Liquor and Eagle Bay Brewing Co teams worked on the imperial porter base in the idyllic surrounds of the latter’s property with some of the beer was put straight into the Whipper Snapper barrel. Twin Peaks Coffee selected then roasted coffee beans from the Mogiana region of Brazil to complement the beer. This craft coffee was then added to the remaining beer and, after six weeks, the two parts were reunited to create an indulgent treat. If this wasn’t enough, celebrated artist Kyle Hughes-Odgers contributed the label design to Forest For The Trees. Last year, Kyle collaborated with the same crew on Black & Tannin, a Cabernet Sauvignon barrel aged Black IPA. This year’s depiction of four characters, eyes closed, in an increasing tangle of forest could have been an allegory for the resulting beer – but it’s a triumph. Vegetal coffee aromas mingle with vanilla and coconut from the oak barrel in a silky but surprisingly light imperial porter. With annual collaborations of this quality and scale, this group is going to need a fleet of Taragos and a swimming pool of wax dip for next year’s release. 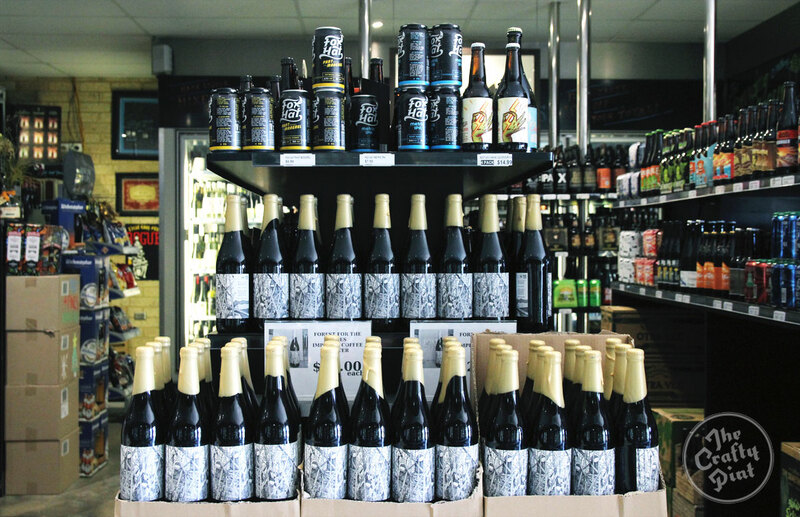 By the time Alè Alberti from Cellarbrations Superstore, in Hamilton Hill, and Mal Secourable from The Monk arrived in Denmark, 4.5 hours south of Perth, a plan to celebrate the classic Belgian tripel style had taken on a modern craft brewing twist. Together with Brian Fitzgerald from Artisan Brewing, the trio added 20kg of fresh mango to the beer, easing concerns about sweetness by then adding fresh raspberries too. Originally released as part of WA Beer Week and at the Fremantle BeerFest, this decadent beer will soon be available in 750ml Champagne bottles in time from Christmas. At 10.2 percent ABV, it's remarkably restrained, with the mango filling out the mouthfeel and Belgian yeast esters complimenting the fruit. Sweetness is offset by the raspberry addition that acts more as balance than additional flavour. 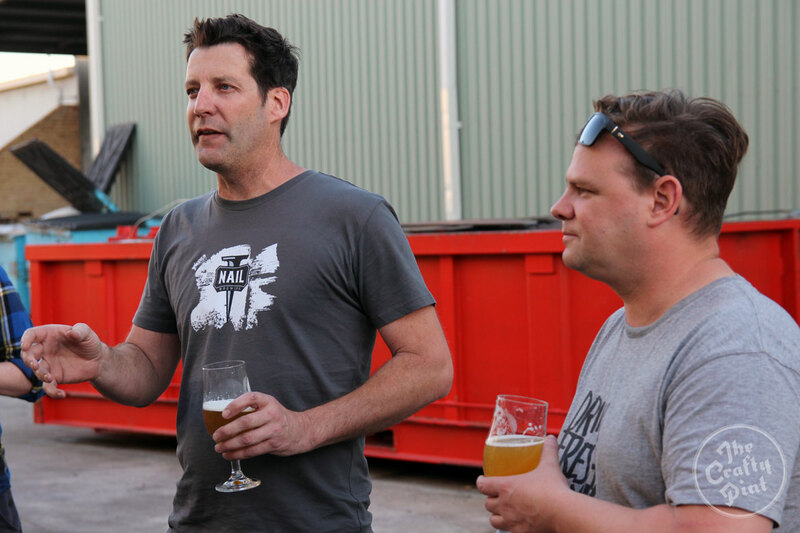 Nail's John Stallwood (left) with Feral's Brendan Varis at a Crafty Cabal brewery tour event earlier this year. This beer represents the ongoing juggernaut of what was originally intended as a limited release beer. Nail’s John Stallwood was only going to put out his Red Ale for a few months. But the market fell in love with the gold medal winning ale and Nail was virtually forced to add it to the main range. Then John decided to roll out the red carpet for the beer at one of Australia’s biggest brew events. The GABS festival demands entrants deliver a never-produced-before drop so he opted to give the Red Ale a new suit, classy haircut, shiny shoes and arrival in a stretch limousine by ramping big brother Red Carpet up to 9.5 percent ABV. Its popularity grew post-GABS as locals got to relish the malt backbone that underpins the beer before the wash of John’s heavy dry hopping allows Citra to weave some stone fruit magic and round out the taste. This was also a good looking beer with a garnet colour luring plenty of fans. Down on The Beer Farm, a group of merry men has been releasing some of the most playful beers Western Australians saw this year. Even before their first birthday, these smallholders of hops and grain had released specialty batches including a beetroot stout, raspberry Berliner Weisse and wet-hopped mulberry honey saison on top of a core range of half a dozen or so. Their combined inventiveness also delivered an exceptional, draught only, Barrel Aged Marmalade Saison. A perennially fruiting Seville orange tree on the Margaret River property provided the inspiration for the beer. Its fruit is too bitter to eat but makes a robust marmalade that was added to a Chardonnay barrel along with The Beer Farm’s saison. The marmalade provided more sugar for re-fermentation during the beer’s four months of oaky slumber, a period that also imparted light but complementary barrel tannins. Finally, bitter peel from the Seville oranges was added to the barrel to heighten the orange flavours. The Beer Farm will have the first run of canned core range beer available from the venue soon and, perhaps more excitingly, they have 500ml cans awaiting specialty releases like this. Expect to see far more coming from The Beer Farm in 2017. Thanks to the panelists for giving up their time to come up with this colourful list. Fun times in WA! Thanks also to Guy and Ross for their combined efforts in describing why the ten made the cut. And, if you fancy heading back in time, here's our top ten from WA in 2015.